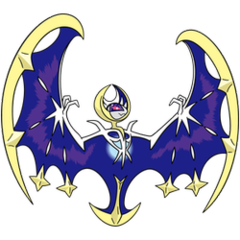 Sun It is said to be a female evolution of Cosmog. When its third eye activates, away it flies to another world. 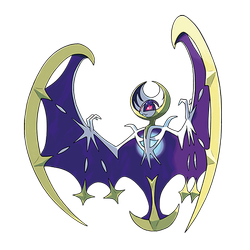 Moon Said to live in another world, this Pokémon devours light, drawing the moonless dark veil of night over the brightness of day.